How cute are these little Penguins?! 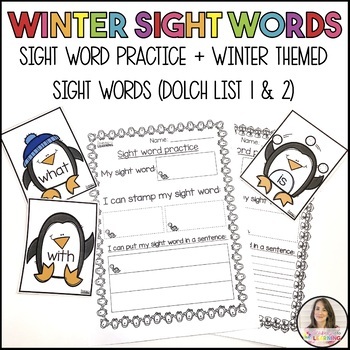 I’ve created a winter theme sight word printables perfect for Kindergarten. Print them, laminate, and use them in your classroom! I love using them as matching games. I also love using them in my writing center, making sure students put them in context to develop a stronger understanding of the sight words!